1660: Winter has settled thick over a sleepy village in the Bavarian Alps, ensuring every farmer and servant is indoors the night a parish priest discovers he’s been poisoned. As numbness creeps up his body, he summons the last of his strength to scratch a cryptic sign in the frost. 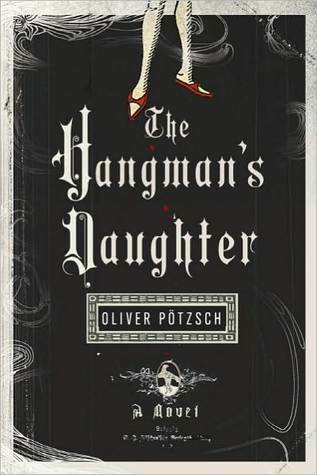 To review this book, I must first go back to The Hangman’s Daughter, the author’s first book in what has become a series. I loved The Hangman’s Daughter. The author came up with the idea for this book when he was researching his own family and discovered he was a direct descendant of a family of executioners in Bavaria. 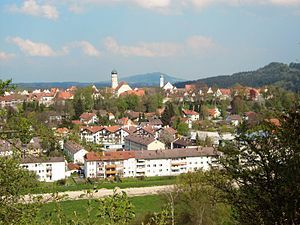 The role of executioner was handed down from father to son, and during the 16th to 19th century, the Kuisle family were the executioners for Schongau, Bavaria. In the first novel, set in 1660, we meet Jakob Kuisl, the Hangman of Schongau, who is also a healer. When some children are found dead with what appears to be a witch’s mark on their backs, the local midwife is immediately accused. While it is his job to torture a confession from her, Jakob believe she is innocent, and sets out to find the real killer. With the help of his daughter Magdalena and her friend Simon, they try to solve the mystery. I loved the way this book gave the reader a real idea of medieval Germany and it’s society. I never knew that town employed executioners, but that they were considered undesirables and had a very low standing in society. The Dark Monk takes us right back to Jakob and Magdalena and a new mystery, when the local priest is poisoned. This new novel includes much of the same wonderful writing and characters from the first, while branching out into the history of the crusades and the Knights Templar- areas of history that I LOVE. 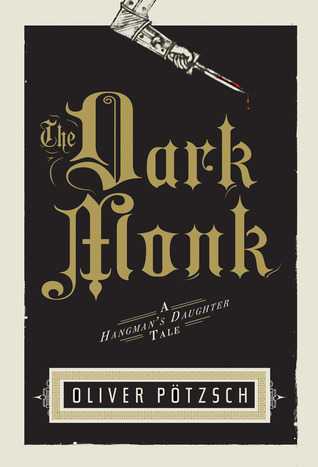 I would definitely recommend reading The Hangman’s Daughter and it’s sequel The Dark Monk. They are wonderful books! Oh I so need to read The Hangman’s Daughter. Thanks for making me intrigued. Nice review. My son has read both of these books and loved them. I really like the covers. 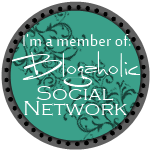 And now I like the review so will have to read them!